Wormmedication.com was started to provide a comprehensive website for people who are suffering from worm infections. Whilst we had been selling worm medication for some time through Aliveplus Pharmacy, we felt people needed a stand-alone, one stop shop for worm treatments - WormMedication.com is that place! We have had many years experience selling health products to customers throughout the world through our Aliveplus websites. During this time we have built a reputation as a trusted online retailer. 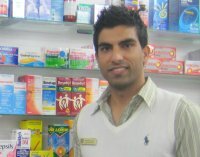 Both our pharmacy and pharmacist are fully licenced in New Zealand. Our pharmacist, Jatinder (Jay) Singh Girn is a registered pharmacist with The Pharmacy Council, the legal entity responsible for the registration of pharmacists, the setting of standards for pharmacists' education, scopes of practice and conduct in NZ. For more details, please see Shop with Confidence. Should you have any queries about ordering worm medicines, our Jay is on hand to provide advice. All the worm medicines on this website are from well-known brands. You can be confident that they have been manufactured to the highest standards and will be effective. Help Others Get Worm Free! Worms are contagious, so if your family has been infected, chances are you know others in the same position within your community, school group etc. If this is the case and you found our content useful, please help us to help others by sharing our website with your friends. Simply click the 'Share This' buttons located on each page of our website. If your friends and their children get free of worms it decreases the chances that your family will be reinfected. 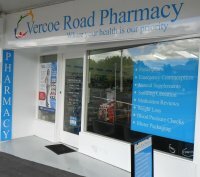 J & J Pharmacy Limited, trading as Vercoe Rd Pharmacy: located in Hamilton, NZ, we have had many years experience selling health products to customers throughout the world. We aim to offer a comprehensive range of pharmacy, beauty and general health products from leading manufacturers at competitive prices via our online store. On the internet we trade under the AliveplusPharmacy brand. Here at the pharmacy we value our customers and we appreciate your feedback. To send us any feedback please use our Contact us form.